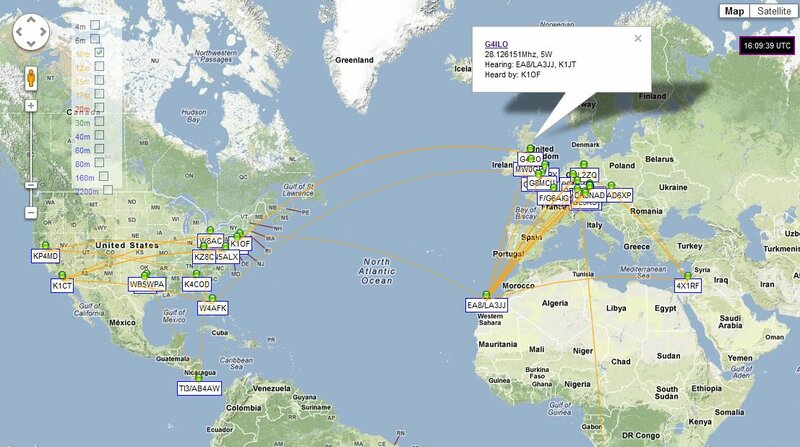 In case you didn't know about it already, check out this new map of recent WSPR spots. It's much faster than the 'official' one, which could bring Firefox to its knees on a slow computer. And it remembers all your preferences including zoom level. A must-bookmark, if you're a WSPR fan. Good morning Julian, it's a great idea to not have to always resize things. 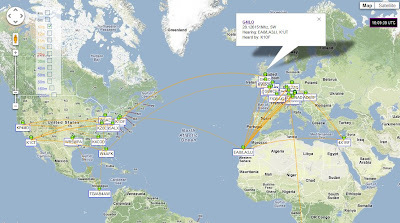 Is this new map on the WSPR site or is it a download from somewhere? It's on Marxy's website. If you click on the link near the start of my post it will take you to it. Hello Julian - hope you are feeling much better, thanks for sharing this new map, it has a nice clean look and is very fast too. Hi Julian, not as versatile as the official map but useful. Thank you for the post but I can't find Listen stations as I am.